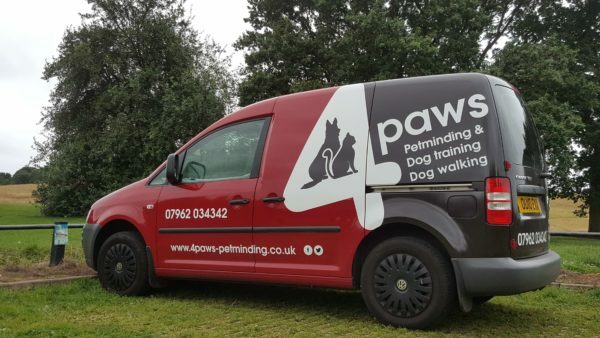 Owned by Kate, 4Paws petminding, dog walking & dog training is now in its 6th year of operation. The business has grown steadily and is now an established and recognised brand in Newcastle under Lyme and around North Staffordshire. 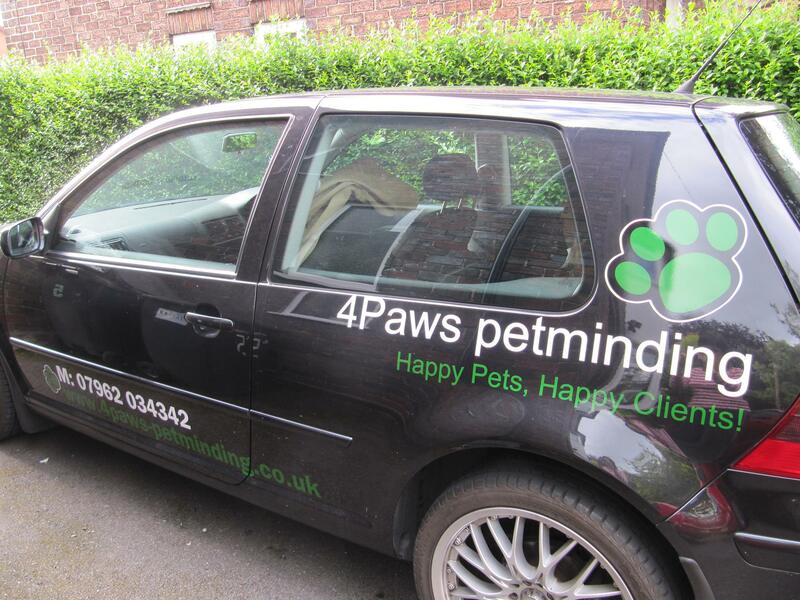 4Paws’ provides a dog walking & visits, puppy & adult training and /dog cat/rabbit care for holidays. 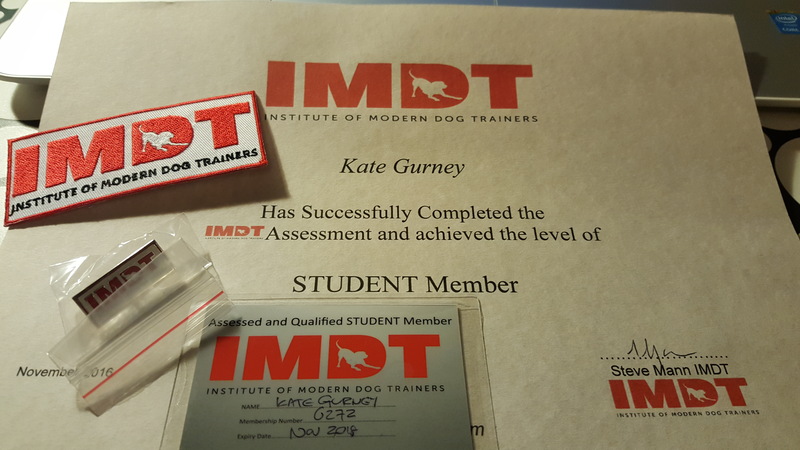 Kate is now a full member of the IMDT, which promotes force free and modern training techniques. 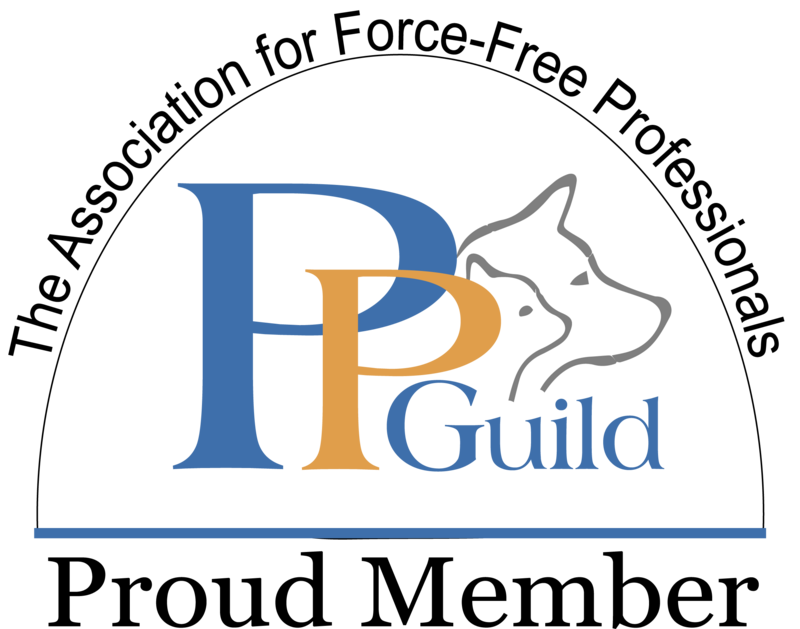 4Paws is passionate about the care and attention we provide to the animals in our care. We treat them as our own pets and take the responsibility very seriously. Visit the 4Pawspetmindingdogwalking & 4Pawsdogtraining-staffs Facebook pages for pictures and videos of the fantastic animals we have been able to care for. 4Paws launched in June 2013. Back then, Kate started picking up dogs in her black Golf. Nowadays you can see various vehicles out and about. All have insurance for pet transit and we use either crates or pet safety belts for safe commute to/from the walks. Fantastic training with my dog he had a few training issues we needed to sort jumping up etc and kate was able to sort out these problems. Would highly recommend her to anyone who is having dog training issues. After meeting Kate at the Middleport Mutts event, I contacted her to get my dog fitted for a Perfect Fit harness as Kate is a local supplier. The harnesses come in three different pieces of differing sizes so can be mixed and matched to get the correct individual fit for each dog. My dog now has a comfortably fitting harness which stays in place. I can not only highly recommend the Perfect Fit harness but also the service Kate provides.